A bug out bag is supposed to help you survive, but if you don’t plan properly, it can actually sabotage you. With bug out bags, there’s a distinct possibility that you can be over-prepared. The result is a bag brimming with survival gear that’s impossible to carry. This problem is especially true for seniors since it’s harder to carry extra weight as you get older. That’s why I’ve put together some tips on how to easily lighten your bug out bag without having to sacrifice any essential survival items. 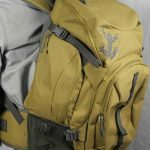 Your bug out bag should be uniquely suited to your situation and your survival plan for after SHTF. 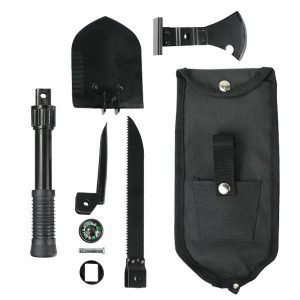 Yes, there are some basic items that every bug out bag should have like food, a survival knife, etc. But the specifics will depend on where you live, what kind of disaster is most likely to occur in that area, how far you plan to travel, and how much you can comfortably comfortably. 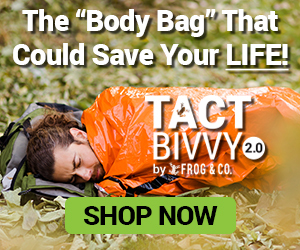 Now, it might sound odd to consider comfort when talking about survival gear, but the fact is that a bag that’s too heavy could get you killed. Which means you’ll need to make some uncomfortable choices about what supplies to leave behind. And it’s vital to make these decisions before a disaster strikes since you’ll have very little time to evacuate before chaos erupts. That’s why I’ve put together a list of non-essential gear that you really don’t need to keep in your bug out bag. Utensils – You don’t have to choose between eating with your hands and packing a full set of utensils. 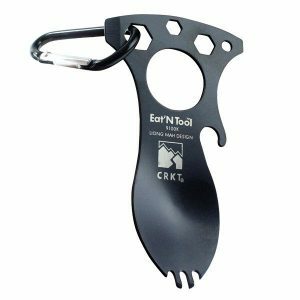 One spork will be all you need, and you can eat food right from the container instead of using a plate. Sleeping Bags – An emergency bivvy can easily replace a bulky sleeping bag in your survival gear while still keeping you warm. And if you want some padding, you can put a pile of leaves between you and the ground. Flare Gun – A fire or even a small, lightweight signaling mirror can help you attract attention in the event you’re ever stranded. Tent – Shelter is necessary for survival, but tents can easily add 10 pounds to your bug out bag. Instead, use a tarp and some cordage to build a shelter without the extra weight. Books – There’s a lot of great survival books out there with excellent tips for preppers, but it’s better to absorb the knowledge from these books instead of lugging them around. Bottled Water – Yes, you will need clean water if you want to survive, but packing a water filter and learning how to find clean water in the wild is a much smarter (and lighter) option than trying to pack a ton of bottled water. In addition to getting rid of unnecessary items, a great tactic for lightening up your bag is to make sure most of your gear is multipurpose. 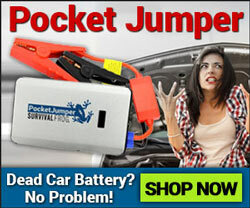 For example, you can combine 4 pieces of gear into one lightweight item with something like the Pocket Light. 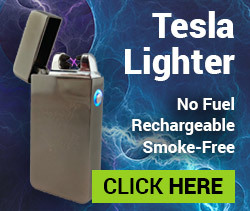 This one survival tool can help charge your phone, brighten up your campsite, signal for help, and be used as a flashlight. 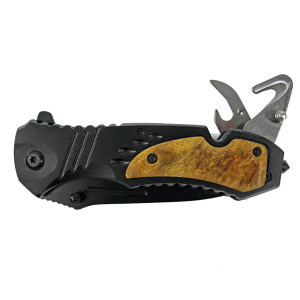 There are a variety of similar tools that have multiple functions built-in. From time to time, it’s a good idea to shop around and see if two or more pieces of gear in your bug out bag could be replaced by one piece of equipment. Bonus Tip: Do you feel like you’ve reduced your bag down to only absolute essentials but find that it’s still a bit too heavy? In that case, the solution may be to increase your own carrying capacity with these simple (and senior-friendly) exercises. It’s also important to consider the weight of your bug out bag itself. When it comes to choosing the right bag, bigger isn’t necessarily always better. A bigger bag will likely weigh more, and having extra space could make you careless about the supplies you include. Finding the perfect bag requires striking a balance between weight and durability. It’s often the case that if you want to get the best of both worlds – i.e. a bag that will hold up without weighing you down – then you’ll have to spend more to get it. The Lifeshield Backpack is hands down one of the best survival packs on the planet. Built specifically for prepping and bugging out, the Lifeshield can hold a ton of gear but still only weighs 1lb 13oz…that’s less than a loaf of bread! Click here or on the image below to learn more about this amazing new bug out bag. This entry was posted in Survival Basics and tagged bug out bag, bug out bag essentials on June 2, 2017 by Survival Frog.